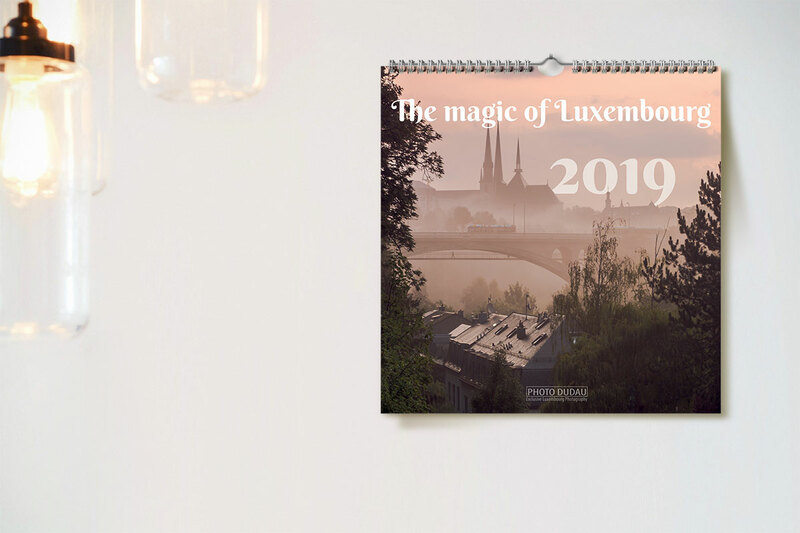 The Magic of Luxembourg 2019 Calendar is the calendar that took me the most time to produce and it’s also my favorite. It includes pictures from all around the Grand Duchy of Luxembourg, not just from Luxembourg Ville. While I like my other calendars as well, this one I like the most. I really love photographing Luxembourg and everything it has to offer. This is a wall calendar in square format (30×30 cm), with a planner layout. The names of the months and days are written in English, Luxembourgish, French and German, so it would make a perfect gift for everyone, including yourself. 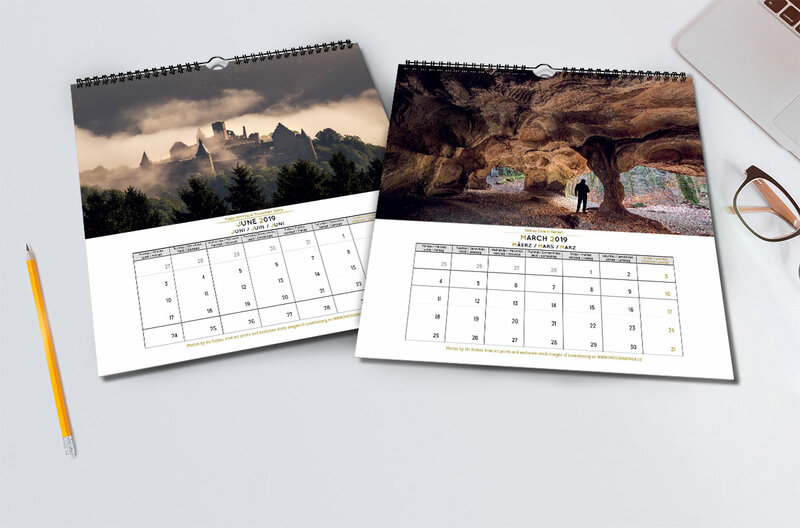 This wall calendar can be personalized with your logo and contact details for large orders of over 50 pieces (just make sure you contact me before ordering if you want it personalized). Premium stock image by Luxembourg photographer Vio Dudau. ✓Royalty Free: pay once, use many times. ✓Exclusive: you can find these photos only here, on this website. ✓No Watermark: all purchased images come unwatermarked. ✓Safe Payment: pay safely on Paypal's website, with a PayPal account or a debit/credit card.